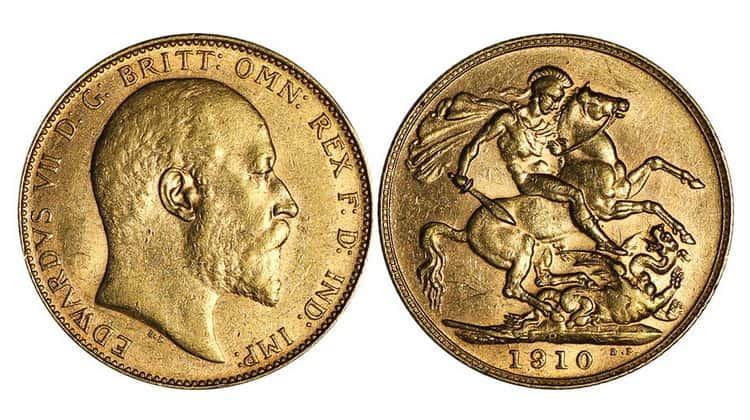 The golden sovereigns (Victoria (1887-1892), Victoria (1893-1901), Edward VII (1902-1910), George V (1911-1925)) are the most iconic British gold coins of the Royal coinage for the whole history of Great Britain. All of these coins, in contrast to modern sovereigns, were internally traded and used for international trade transactions. 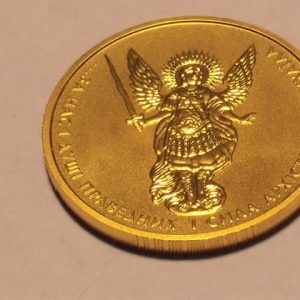 The English gold sovereign is considered to be the most recognized monetary unit in the world. Obverse: In the center of the coin there is the profile of Queen Victoria, created for the 50th anniversary of her reign. Her head is covered with a scarf and the crown. The inscription “VICTORIA DEI GRATIA” is located along the edge of the coin decorated with dotted ornament. Reverse: In the center of the coin there is a heraldic emblem crowned with a royal crown. The year of stamping is indicated under it, and “BRITANNIARUM REGINA FID: DEF:” is engraved in a circle along the edge of a coin decorated with a dotted ornament. Mint: Sydney, Melbourne, Perth (Australia). Obverse: There is the side-face of Queen Victoria in the center of the coin, created for the 50th anniversary of her reign. Her head is covered with a lace scarf and the crown. The inscription “VICTORIA DEI GRATIA” is placed along the ribbed edge of the coin. Reverse: in the center of the coin the plot is depicted, when Saint George on a horse and with a sword in his hand kills a dragon. 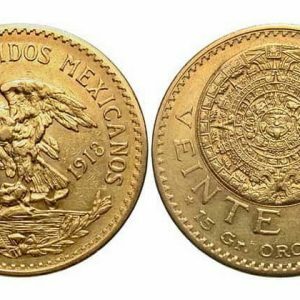 Under the image, the year of the coinage is indicated, and the edge of the coin is decorated with a jagged ornament. Mint: Perth, Sydney, Melbourne, London. Obverse: The side-face of Queen Victoria is depicted in the center of the coin. Her head is crowned and covered with a scarf. The inscription “VICTORIA * DEI * GRA * BRITT-REGINA-FID-DEF * IND * IMP *” is located along the jagged edge of the coin. Reverse: In the center of the coin the plot is depicted, when Saint George on a horse and with a sword in his hand kills a dragon. Under the image the year of coinage is indicated, and the edge of the coin is decorated with ribbed ornament. Mint: Sydney, Melbourne, Perth, Ottawa. Obverse: In the center of the coin, there is the profile of Edward VII. Along the jagged edge of the coin there is the inscription “EDWARDVS VII D: G: BRITT: OMN: REX F: D: IND: IMP:”. Reverse: In the center of the coin, the plot is depicted, when Saint George on a horse and with a sword in his hand kills a dragon. Under the image is the year of coinage is indicated, and the edge of the coin is decorated with ribbed ornament. Mint: Sydney, Melbourne, Perth, London, Ottawa, Bombay, Pretoria. South Africa: Pretoria – “SA”. Queen Victoria, who ruled Britain from 1837 to 1901, was a representative of the Hanover dynasty. During her rule, five types of gold sovereigns were minted. Of these, there were three types that portrayed St. George on the dragon, as in the sovereigns of the reign of George IV. 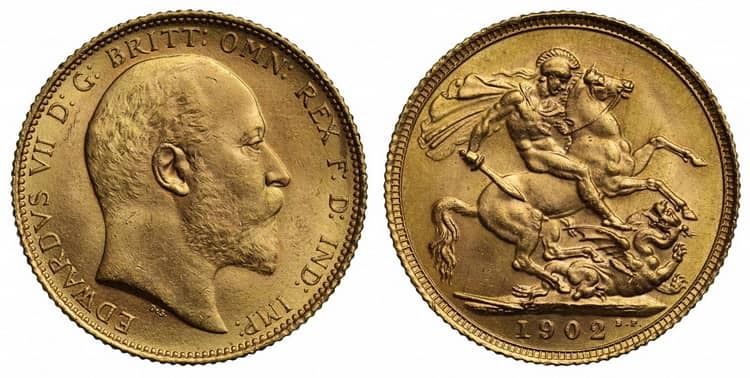 The golden sovereigns that were minted during the reign of Edward VII had rather small circulations. 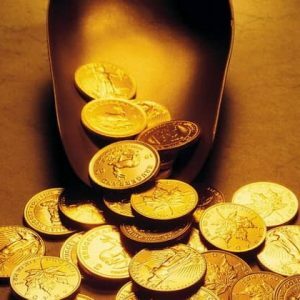 That is why they are rare and one of the most expensive types of gold sovereigns, which attracts the great interest of coin collectors from all over the world. 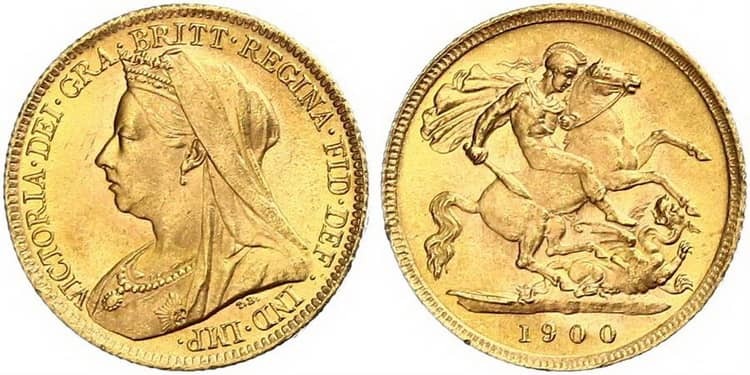 The golden sovereign of the reign of George V was popular even before World War I, but became the last coin before Great Britain abandoned the gold standard. In addition, it is the only coin that was minted at all branches of the Royal Mint. Another interesting fact is that many elderly people living in Great Britain still remember the presence of sovereigns of 1911-1925 in their wallets. 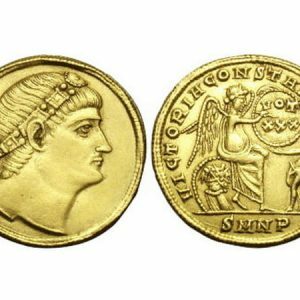 The reverse of all gold coins of 1 sovereign denotes a fragment of the battle of St. Benedetto Pistrucci. According to the research of Robert Wilkinson-Latham we can evaluate the cost of some household items in Great Britain in 1902: a chair − 9.6 sovereigns, a table − 9 sovereigns, a blanket − 10.6 sovereigns, a hunting spear − 16 sovereigns, a bottle of water − 8.6 sovereigns, steel tape measure − 7.6 sovereigns, holster for a revolver − 10.6 sovereigns.